Fingerstyle acoustic guitarist for functions, weddings & events. We can also provide Duncan Howlett as a solo fingerstyle guitarist. 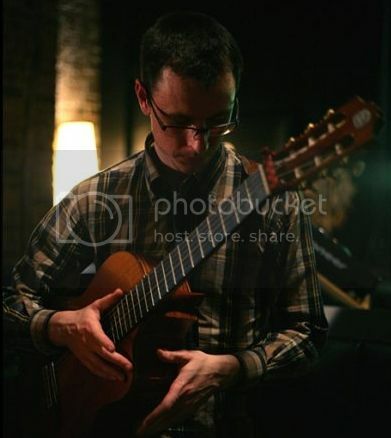 He plays on a nylon string Spanish guitar. With an inexhaustible knowledge of music, new and old, he can provide a combination of classical and contemporary styles for any event. With so much variety to his repertoire he really can provide something for everyone. He has a vast experience in the the music industry as a performer, teacher, composer and session musician and has played at some of the best wedding venues in the south east, as well as some of the most famous buildings in the country including London’s Gherkin and O2 arena. Duncan uses top quality equipment to provide the best sound and has a variety of different set ups for all audience sizes. He is always willing to personalise his set around your requirements and to learn special requests. To find out more about Duncan Howlett visit his website using the link below.